2017 has been a rebound year for almost too many smartphone brands to count. Samsung’s Note 8 emerged from the flames of last year’s debacle, TCL returned BlackBerry to prominence with the KeyONE and, now, HMD Global launches its latest bid to do the same with the once-mighty Nokia. 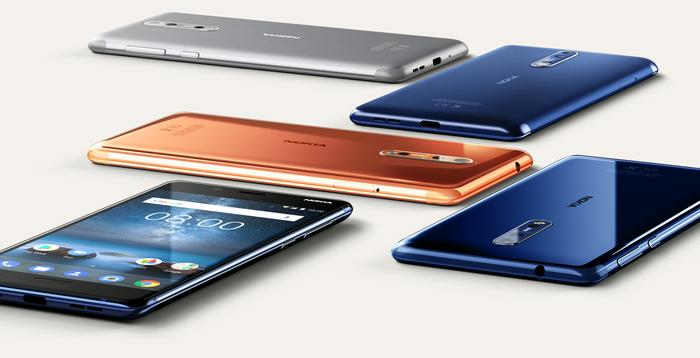 Building on the momentum of its initial offensive into the mass market with the value-driven Nokia 3, 5 and 6, the Finnish startup are now taking a solid swipe at the giants of the industry with the Nokia 8. Billed as the first true flagship Nokia smartphone since the company’s heyday, the Nokia 8 is both a little larger and faster than the trio of devices HMD launched back in June. However, according to HMD, it’s more than just iterative - it’s innovative. And in ways that count, specifically when it comes to camera side of the equation. If HMD’s initial trio of devices were aimed at getting the mass market to care about the Nokia brand again, the Nokia 8 feels like it’s intended to give enthusiasts reason to do the same. To all the Android-based smartphone vendors out there, it’s a warning. Ignore the new Nokia at your own peril. This is a device that can’t just be written off as mere or pure nostalgia.